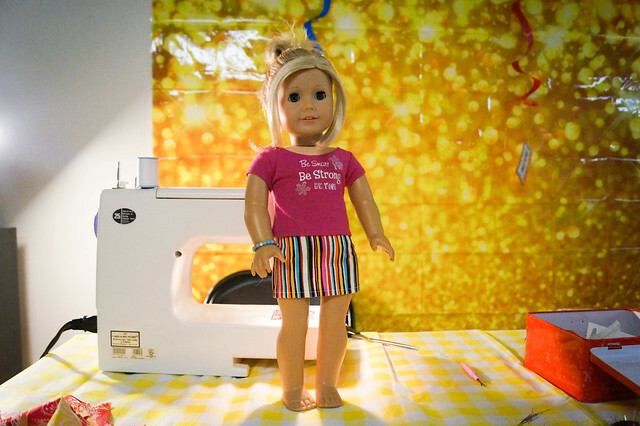 American Girl Doll Play: Summer Sewing! 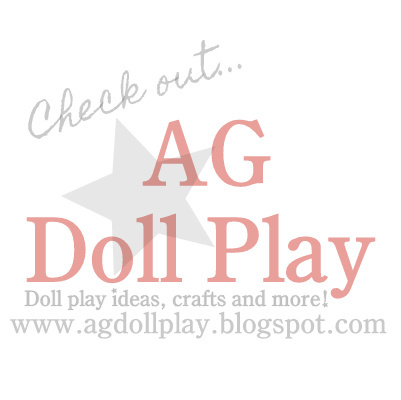 One of the things I love most about summer is that we are able to carve out some more time for doll projects! 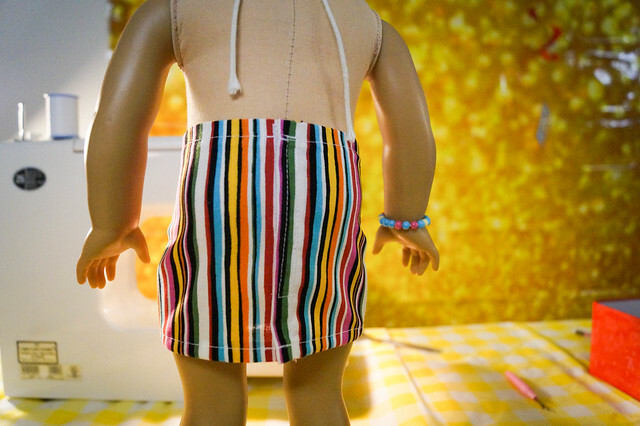 Zoey and I have been having some fun lately working on some sewing projects for the dolls. 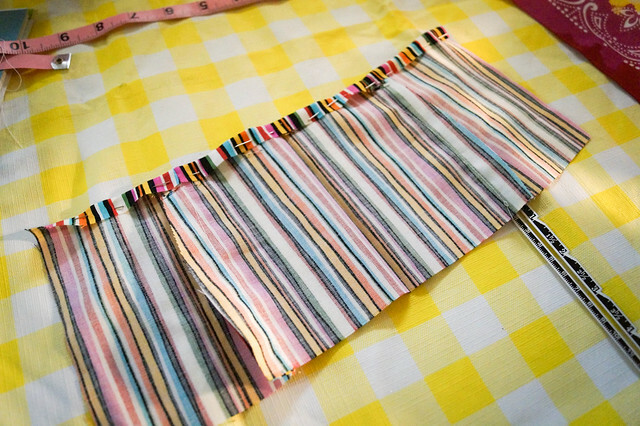 For this project, a mini skirt, we used a pattern from the book Sew in Style by Erin Hentzel (Zoey got this book for Christmas last year). We are both very new to sewing so we needed something very simple for our first project...this was perfect! 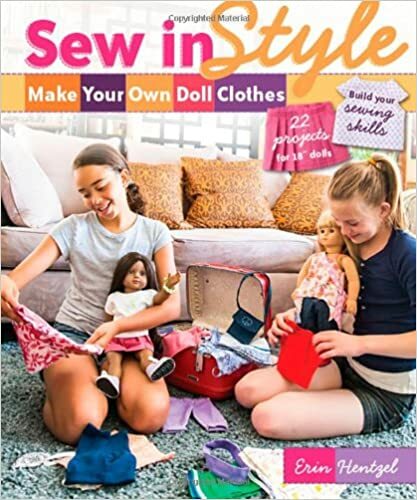 One of the things that I love about this book is that she rates all the projects from easiest to hardest and she's very thorough with descriptions, photos, directions and also includes a glossary of sewing terms that you should become familiar with...all in a way that isn't overwhelming for a beginner! 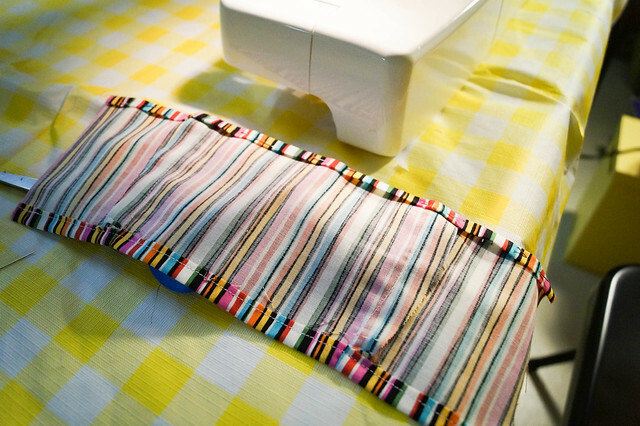 We had a little hiccup along the way with the velcro...accidentally sewed one strip on the wrong side of the fabric, but we got to figure out how to use our seam ripper so that's good! 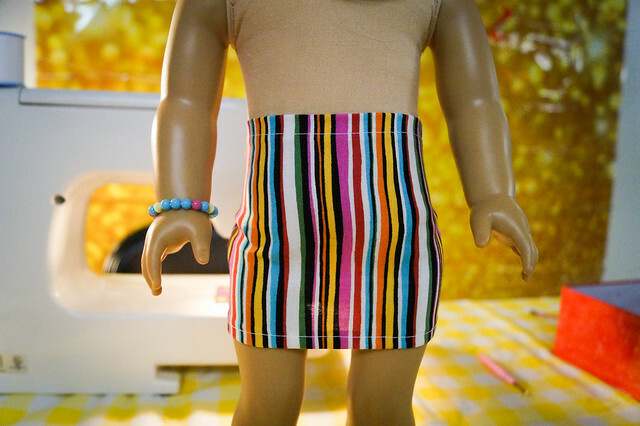 Here is Zoey's doll, Zoe, modeling her new summer mini skirt with one of American Girl's tee's...doesn't she look ready for a fun day downtown with friends?